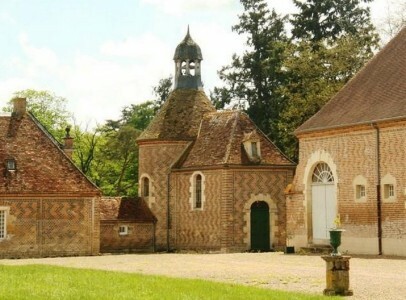 2h30 south from Paris by highway, in the borders of the Berry and the Bourbonnais, this chateau is located in a beautiful countryside dominated by forests and traditional bocage, without any nuisance.The nearby city offers all amenities. 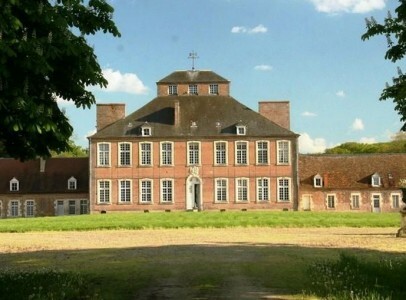 The chateau was built during the Regence period (first part of the 18th century), on typical bourbonnaise architecture polychrome bricks, over the foundations of an older fortified castle. 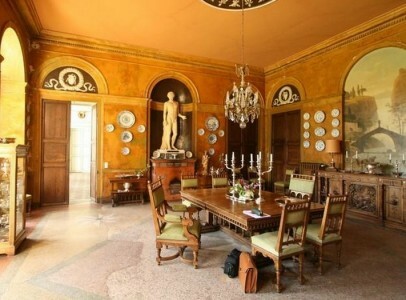 Some refittings or modifications of the decoration were done around 1820 (Restauration period under the reign of Louis XVIII) but it does not change a thing to the great quality of this property. On the ground floor, a large hall, a large and a small sitting rooms, a dining room, a kitchen, a study with delightful panelling, bedroom with bathroom, another hall with a double revolution staircase. Back staircase. In the wings (80 and 115 sqm) : staff rooms, cloakroom, toilet, linen room, old kitchen and scullery. Upstairs : various other rooms, staff rooms, shower room and attic. On the first floor of the chateau : two landing spaces, one used as a billiard room, the other one (illuminated by the windows of the observatory in the middle of the chateau) leads to 4 suites and 2 en-suite bedrooms. Staff room. Vaulted cellar under part of the chateau (containing the boilers). 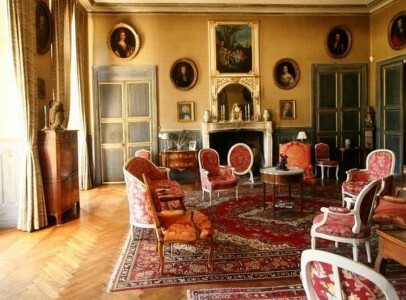 Living space of the chateau (without wings) : about 330 sqm per level. In the other tower, a dovecote. A 200 / 230 smq-reception room; same room on top. Oil central heating. At the back, hidden from view, a metal storage barn. 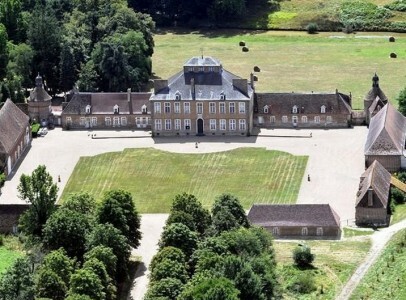 The chateau stands on the south side of the park which goes down to a long water basin and a lake. 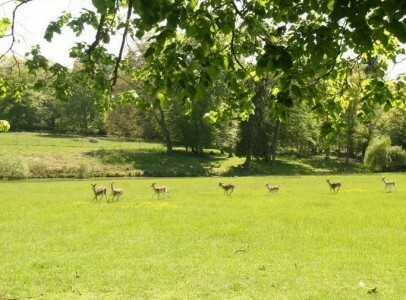 A few meadows for animals such as deers or horses, for example.